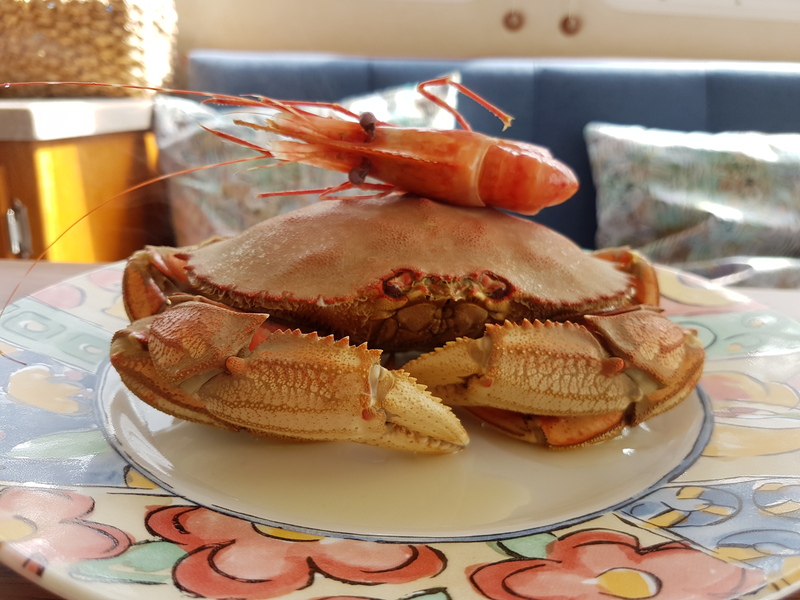 Ich bin in Genoa Bay heute abend, habe wieder mittag gegessen mit demselben Freund, und heute abend wieder Krabbe und Garnele (natürlich selbst gefangen). Langweilig, nein! Mein Freund Joe hat vor vielen Jahren hier auf einem Hausboot gewohnt und wir haben einige alte Freunde von ihm besucht, das Restaurant war sehr gut, und heute abend hat sich die Bucht mit sieben Booten ganz schön gefüllt. Immer was los! Today I caught my own dinner, a nice big spot prawn and a crab. 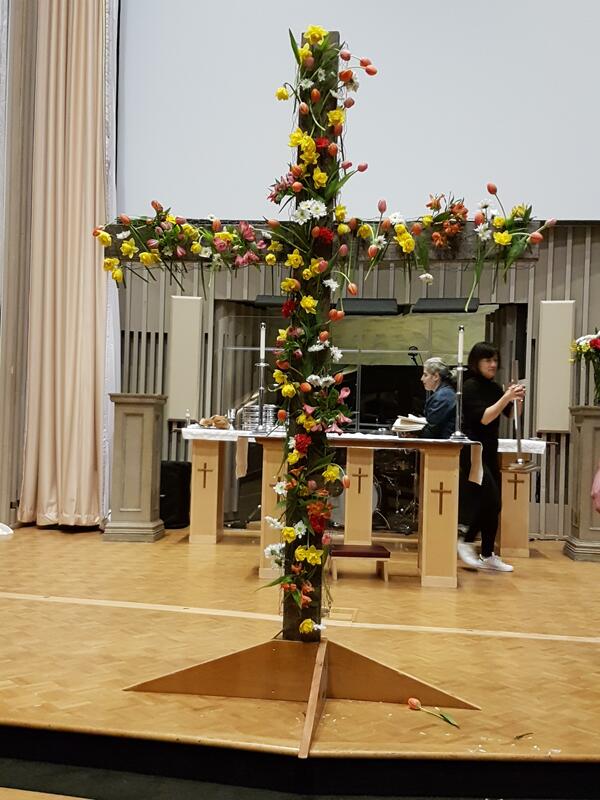 Lots of work though. The weather is still rather mixed with some showers and a bit of sun every now and then. I am in Cowichan Bay, visiting friends. Sheila is still in Europe, and I spent two nights in Tod Inlet, close to Butchart Gardens. 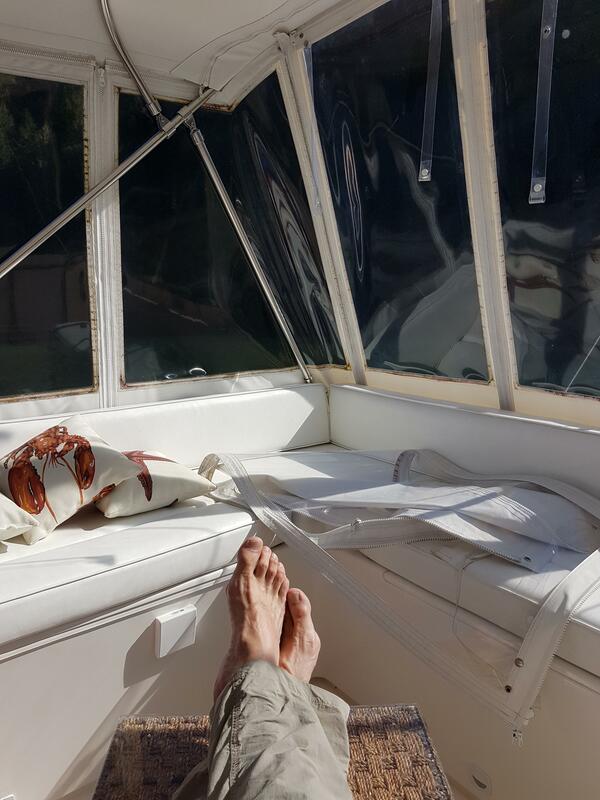 Today was warm and sunny, and I used the opportunity to clean the flybridge canvas and windows. Now that the winter grime is gone, I can enjoy sitting upstairs with a beer and wait for the sunset. The weather is fantastic today, sunshine and very warm. 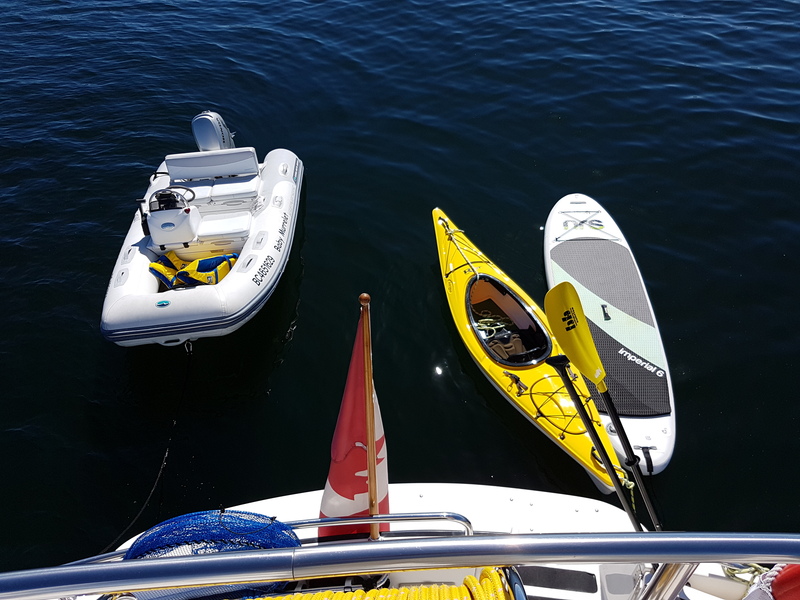 I took the boat to Sidney Spit and started setting up our toys for the summer. The afternoon went by quickly with kayaking, paddle boarding and a barefoot walk on the sandy beach. My new crab trap attracted 18 crabs in about an hour, unfortunately none legal as they were all either female or too small. I will have to barbecue a steak for dinner, I guess. The boat needs a little bit more work and I took it back to Sidney this morning. 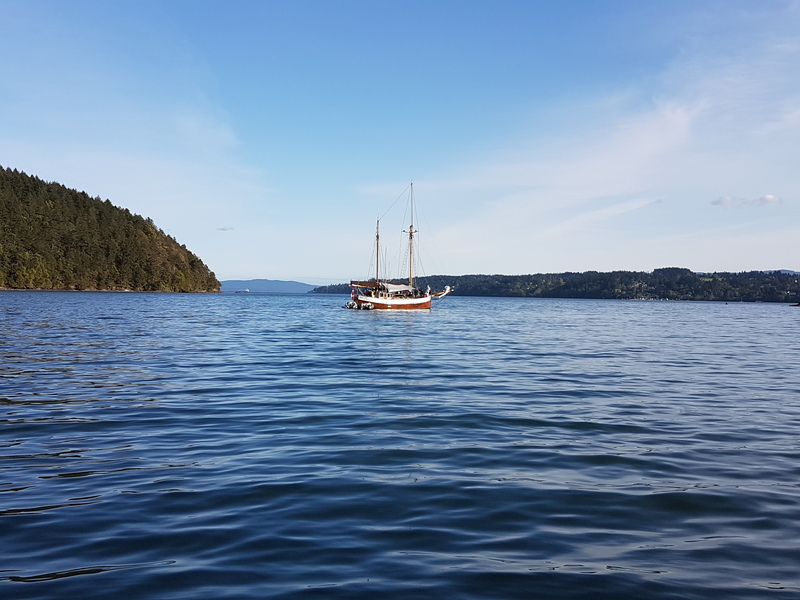 I left very early, at first light, to catch a good tide on both sides of Georgia Strait and am back in Tsehum Harbour now. 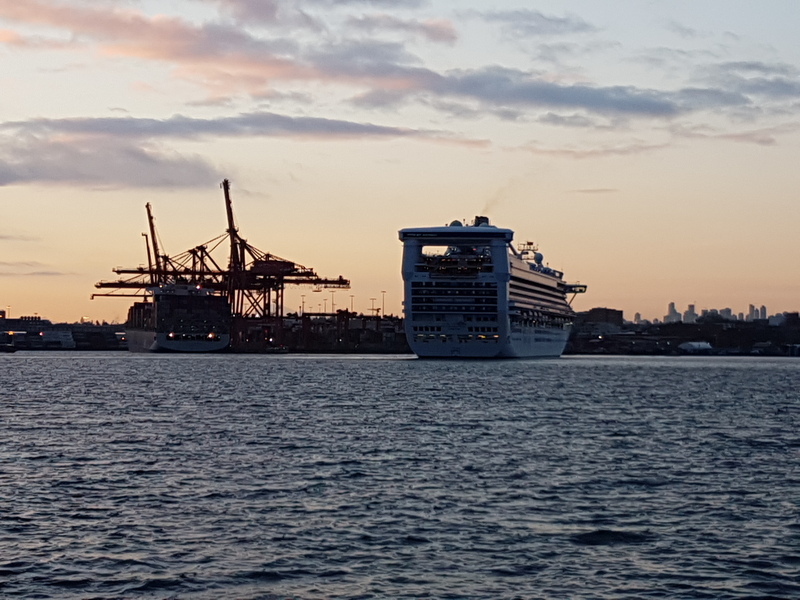 When I left, the first cruise ship of the season was pulling into Vancouver Harbour, a sure sign that spring is coming. The boat and we are back in Vancouver for a few days. Today it was sunny, almost felt like spring, except when I left this morning there was frost on the docks. 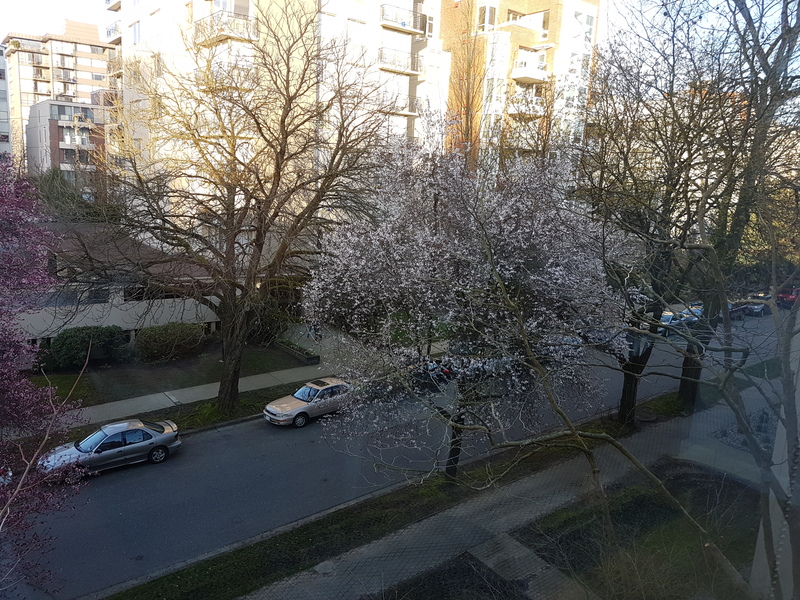 The trees outside our flat don’t seem to mind and are blossoming. 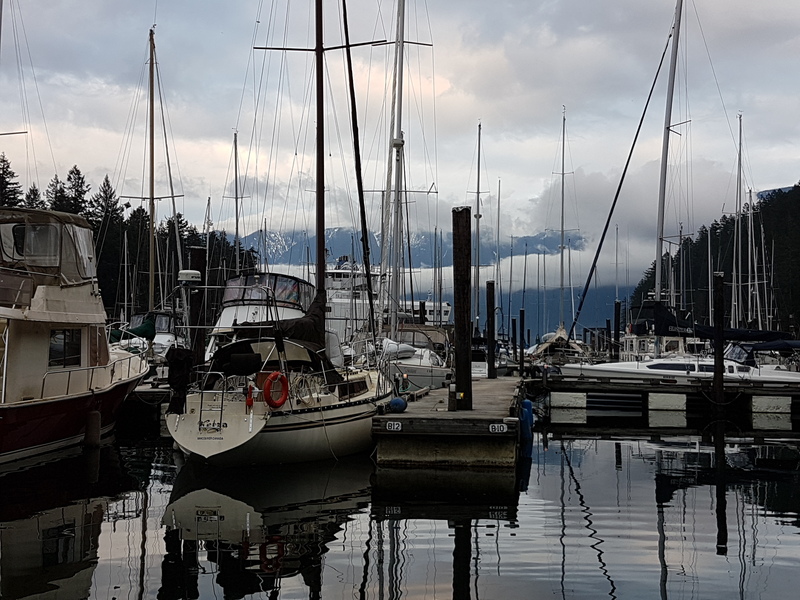 Ich bin heute sehr früh über den Strait of Georgia gefahren, zu Snug Cove auf Bowen Island ganz in der Nähe von Vancouver. Sheila ist mit Bus und Fähre auch hergekommen und wir haben einen sonnigen Nachmittag zusammen hier genossen. Heute abend waren wir gut essen, und da wir beide früh aufgestanden sind, geht es bald ins Bett.